I may have a reputation as a fearsome meat devourer, lover of all things beef, especially STEAK. And burgers. And roast beef. (Oh shut up, Pheebz, and get on with the review!) Well, just because I am a devoted carnivore does not mean that I am unable to appreciate vegetarian and vegan food. 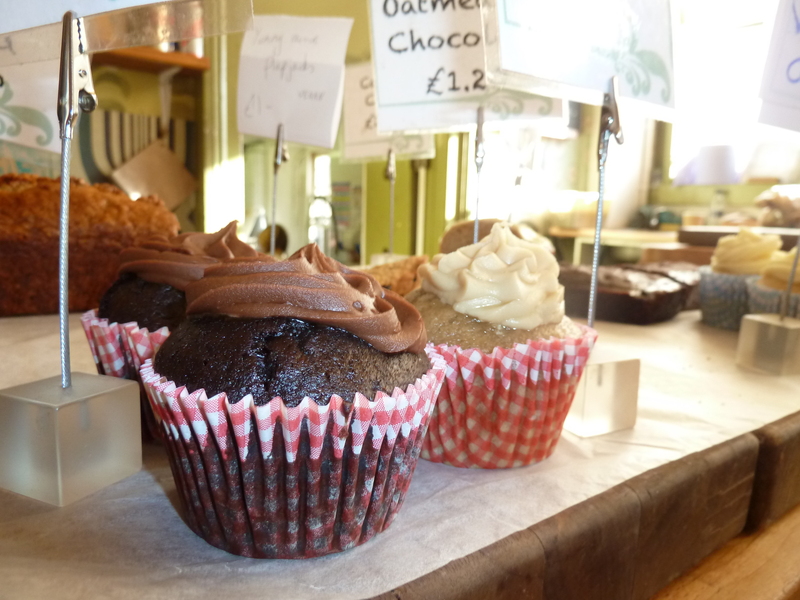 In fact, I recently went to The Gallery Café, where most dishes are completely vegan. OK, so the truth is… I didn’t go there knowing it was a vegan/vegetarian café, but I liked it so much that I’ll go back! 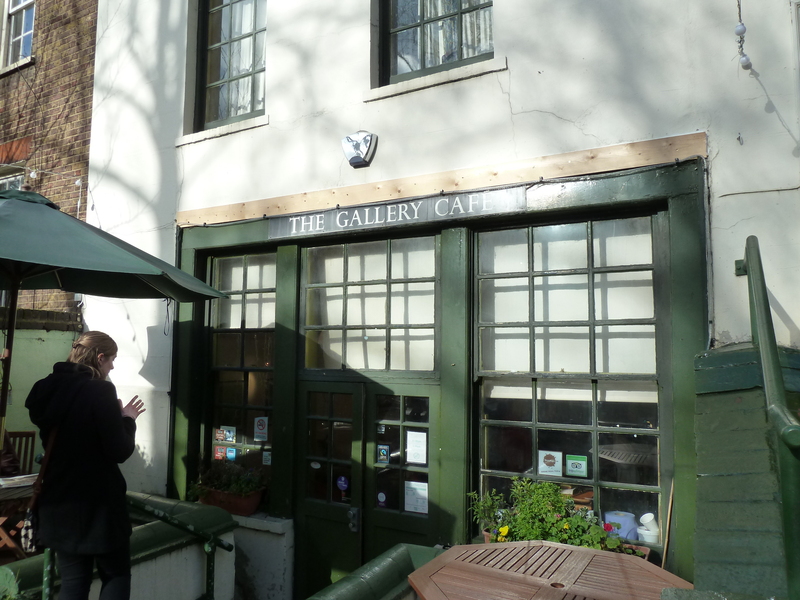 My friend recently moved to East London and she’d heard very good things about The Gallery Café. 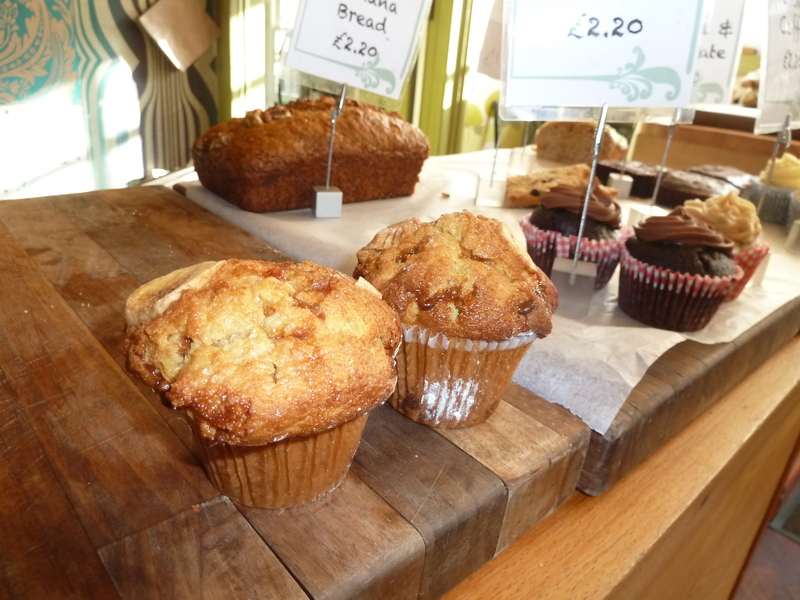 So we set off to Bethnal Green and stopped by to find a bustling room with mismatched furniture, and rather tasty-looking home-made cakes lining a wooden-top counter. We eyed up the sandwiches to one side. That’s funny, we thought. The sausage sandwich looks like it has vegetarian sausage in it. We eyed up the menu. Mmm. Nice big breakfasts. That’s funny, we thought. They serve scrambled tofu. Where are the eggs? It wasn’t until half-way through our munching that the penny dropped. After which, we laughed quite a lot at how slow our brains were to engage. 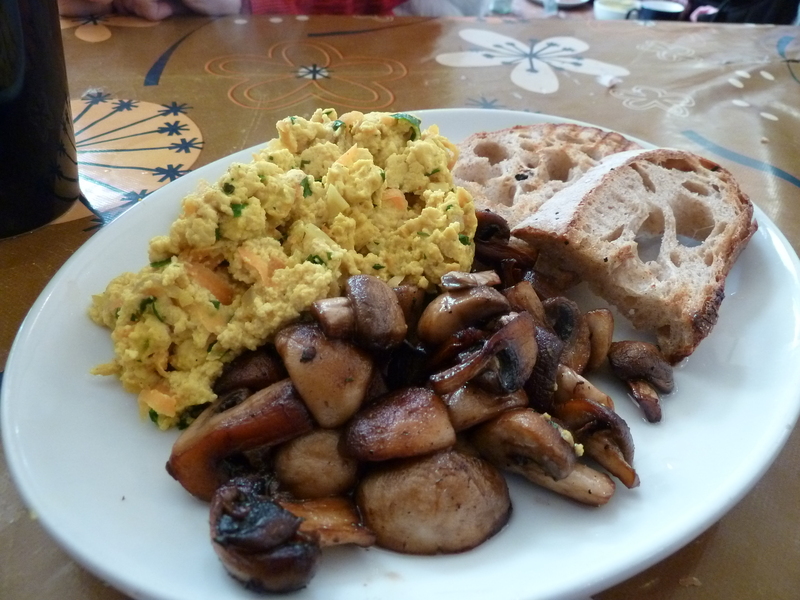 My friend took the scrambled tofu on sourdough toast (£4) with garlic mushrooms (plus £1.50). I was VERY sceptical as I’ve never eaten tofu outside of Asia that I’ve actually enjoyed. But actually, this was great! Seasoned well, mixed with spring onions – it was really tasty and I actually want to go and order it. The garlic mushrooms were also superb, again to my surprise. Now, I wasn’t especially hungry due to eating a lot beforehand, so I just took a bowl of chips (£1). Look at these beauties. Just £1 for this large portion. They were crispy on the outside, soft in the middle and really, really good. And they were £1. Wow. 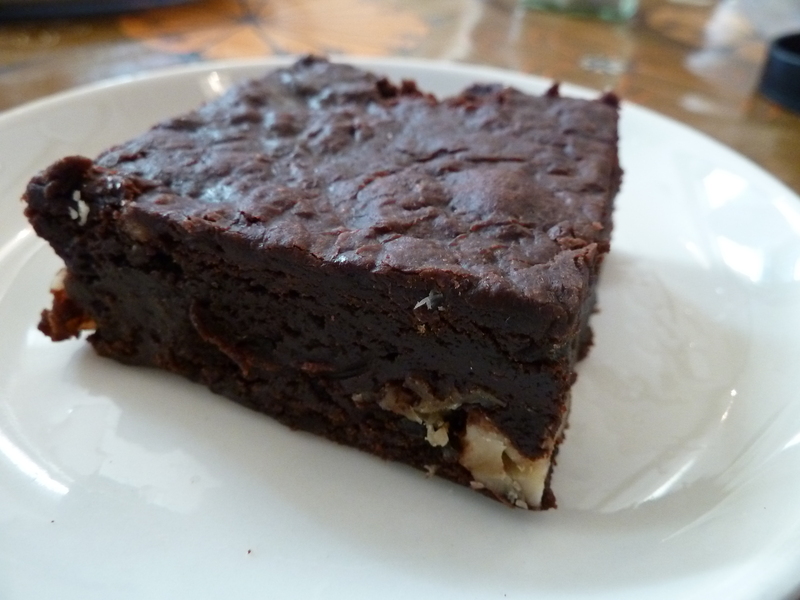 I also had a chocolate brownie with walnuts. It wasn’t as dense or gooey as brownies tend to be served, but it was pleasingly moist with a rich, warm flavour. I didn’t have anything to drink but they offer a lot of speciality teas. 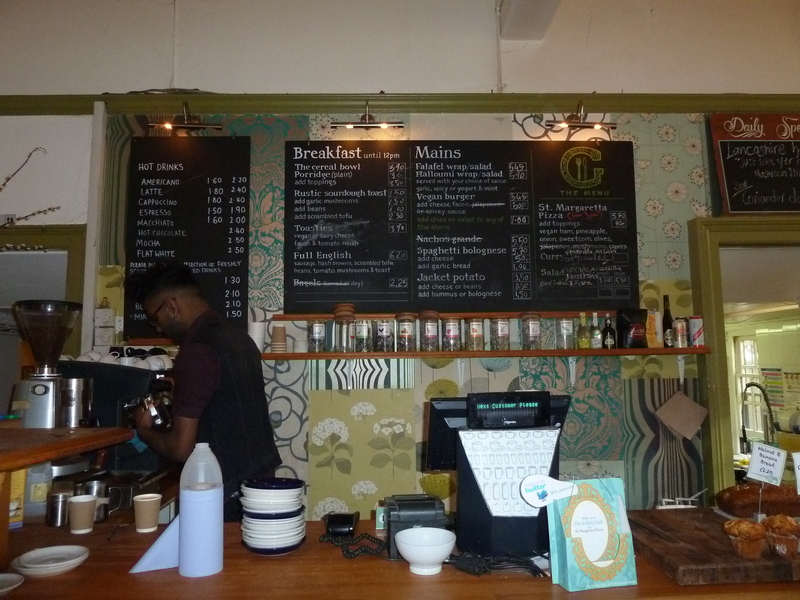 The Gallery Café 4/5 – OK, so it’s in East London, it’s vegan and it offers fancy teas. Yes, it sounds a little hipster. But really it’s just a casual, laid-back place. 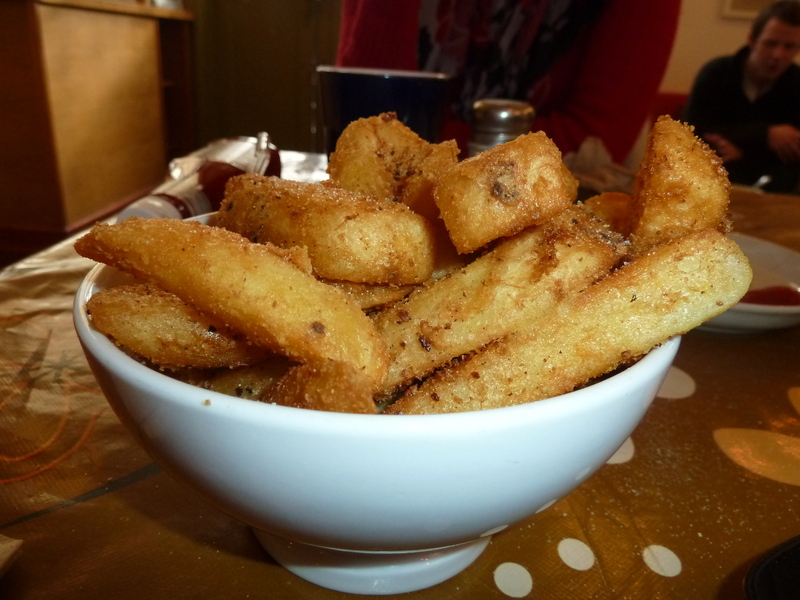 And come on – who can refuse a bowl of chips for £1? Or garlic mushrooms on sourdough toast for £3? This place is cheap and yummy.